First appeared in the 1985 UK catalogue, available in Transparent Red or Transparent Blue (With Hard Maple neck and fingerboard), it was also available in red and black, both colours with a Rosewood fingerboard. First appears in US price lists in Jan 1985 at $399.50 for the Trans Red, Trans Blue and Black finishes (Red finish not mentioned), rises to $460 in August 1986. Oddly, it doesn’t appear in the April 1987 price list, and none of the US price lists show the (non-transparent) red finish. None of the catalogues or price lists mention any changes to the spec of the SX, but there are at least two versions. 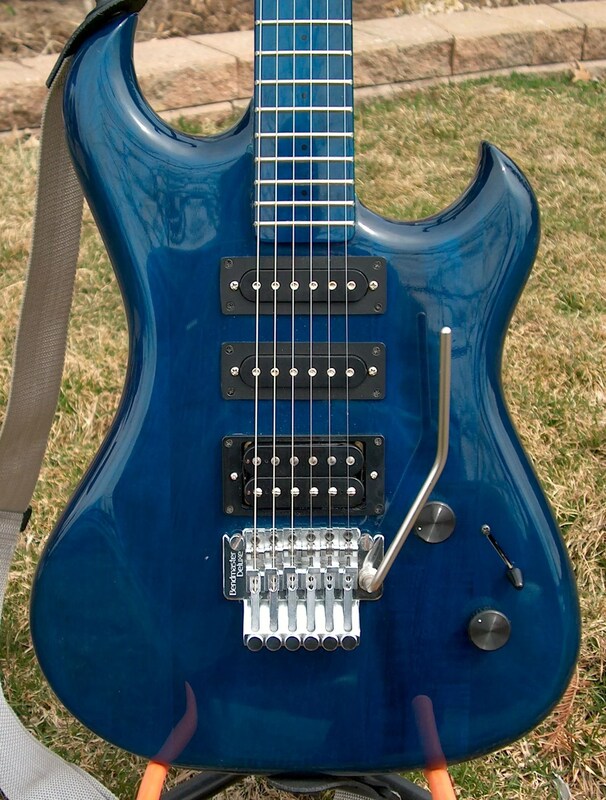 Most of the ones seen are as shown in the 1985 and 1986 catalogues, but there is also a later original factory model with only a single tone control, and no phase reverse switch. At first glance, this looks like the Spectrum MX. Note that this 1986 model is also factory fitted with a Bendmaster Deluxe bridge instead of the FT.